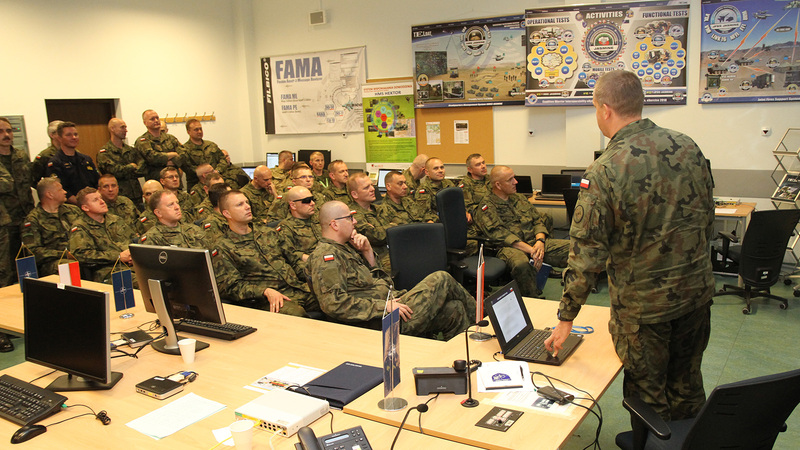 Approximately 30 Polish officers, students of the Advanced Operational Strategic Course at the Polish War Studies University, visited the Joint Force Training Centre (JFTC) on 18 June. 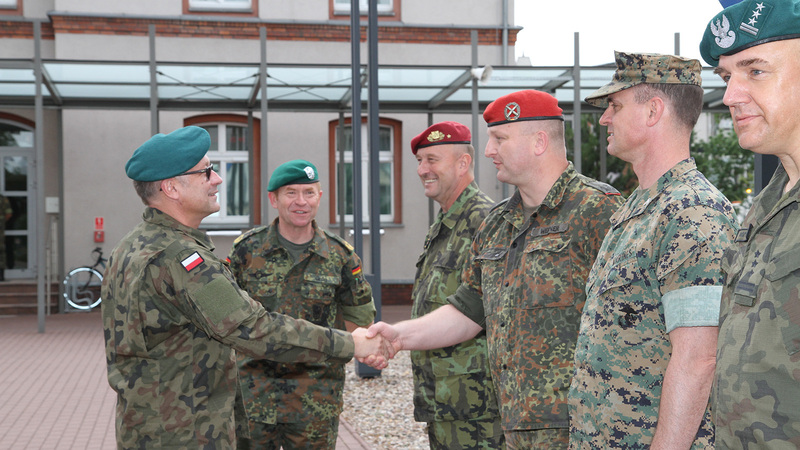 The group met with Major General Wilhelm Grün, the JFTC Commander, and had a closer look at the Centre working at full speed during the Coalition Warrior Interoperability Exercise (CWIX). 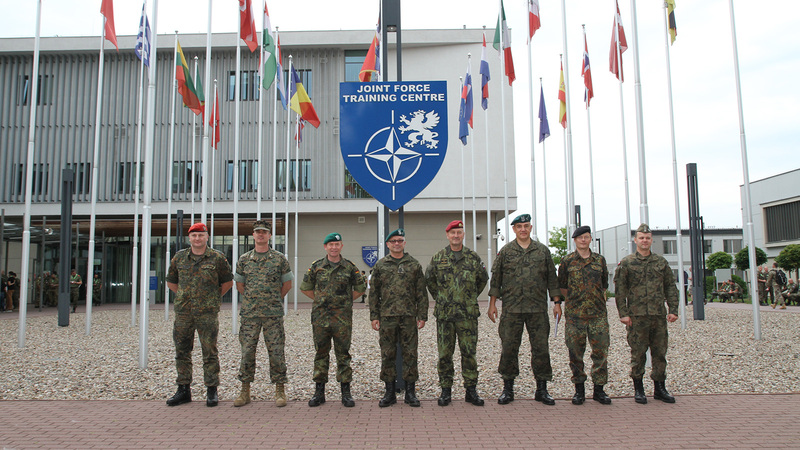 The guests, led by Colonel Przemysław Paździorek, arrived at the NATO training centre in Bydgoszcz to learn more about JFTC and also to explore the NATO’s premier interoperability event. During their visit, they received in-depth information about the Centre, its mission, structure, activities and main challenges for the nearest future. 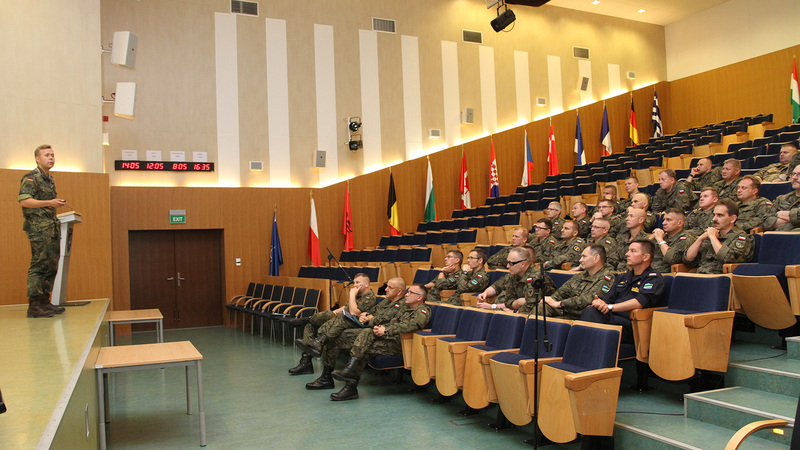 The officers were also briefed on one of the JFTC’s flagship events – pre-deployment training for headquarters and advisors deploying to Resolute Support mission in Afghanistan. They met with one of JFTC’s Officers of Primary Responsibility for Resolute Support training event (RS TE), who provided them with facts and figures related to RS TE’s concept development and execution of the event. Additionally, the group had a chance to meet with CWIX Deputy Director. He presented the exercise’s goals and construction and provided the officers with a broad overview of how the Alliance and partner nations work on developing interoperability. 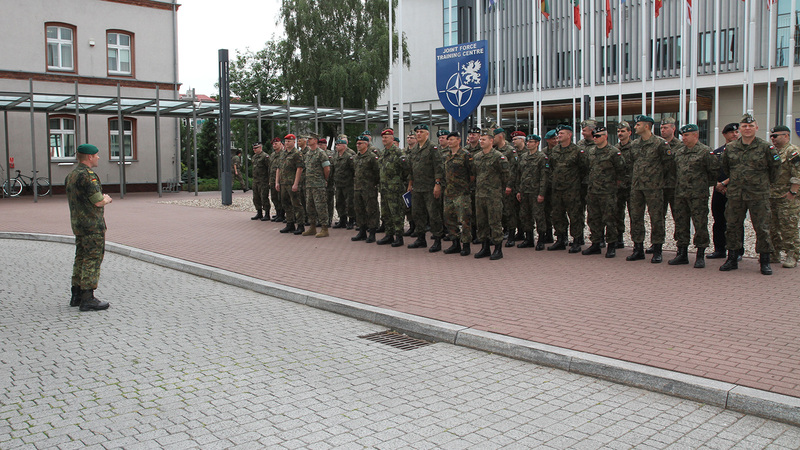 A walk through the exercise area concluded the programme of the visit. Klick here to learn more about CWIX.